In just about any wargaming genre, there is an “ultimate” place - a highest, grandest, singular moment. For Fantasy it might be the Battle of the Pelennor Fields. Star Wars has the Battle of Endor, BattleTech has the Battle of Tukayyid, and I’m sure Warhammer has some kind of universe-ending apocalypse in either the 30K or 40K eras. To set the scene very quickly, let’s take a look at how this gigantic clash came about. World War II changed forever in the summer of 1941 when the Third Reich, despite a nearly unbroken string of victories in western, northern, and southern Europe, decided to turn to their full attention to the east and attack their most hated ideological enemy, the Soviet Union. This was Operation Barbarossa, still one of the largest invasions in the history of man. Striking on 22nd June 1941, the Germans and a wide array of European allies would eventually come within a hair’s breadth of toppling the Soviet Union and winning World War II right then and there. But the Soviets, by some miracle, held out and the war in the East dragged into 1942. Again Hitler gathered nearly everything he had for a second titanic push to crush Stalin’s Soviet Union for good. This was “Case Blue,” and again came desperately close until the Germans met catastrophic disaster at the Battle of Stalingrad. There would be no “grand third try.” Two years of appalling bloodshed, probably unmatched since the Black Plague and capped off by the disastrous defeat at Stalingrad, had finally destroyed Germany’s ability to launch invasions spanning over a thousand miles. For 1943, the Germans would have to be more selective in their choice of target. As fate would have it, the Germans had just such a target available: the Kursk Salient. In the wake of Stalingrad, Soviet armies had surged forward all across southern Russia until they were slammed to a halt by Field Marshal Manstein’s expert (and desperate) “Backhand Blow” at the Third and Fourth Battles of Khar’kov (Feb-March 1943). The battle line in southern and central Russia was thus left jagged and uneven, with a huge bulge of Soviet-held territory pushed deep into ground still occupied by the Germans. This is called a “salient,” always a dangerous place on a battlefield because a salient offers springboards for future attacks, but is also extremely vulnerable. For their limited 1943 offensive, the Germans resolved to hit this salient (centred on the Soviet town of Kursk). Rather than strike all across the front like they had in 1941 or only in the centre and south as in 1942, the Germans would focus everything they possibly could just on this one relatively small section (about 150 miles across). The plan was called Operation “Citadel.” Huge armies would hit this salient in the sides, striking from north and south to cut off the bulge and encircle any Soviet armies caught within. With the rest of German efforts throughout Russia and the West “on hold,” the amount of firepower they could focus here at Kursk was simply gigantic. The Soviets, however, also saw the Kursk Salient as an obvious target. They decided to let the Germans attack them here, taking months to build up some of the strongest, deepest defences in the history of warfare. Once German forces had exhausted themselves, vast Soviet tank armies would counterattack and push them clear out of Russia. … and God willing, we will never see again. 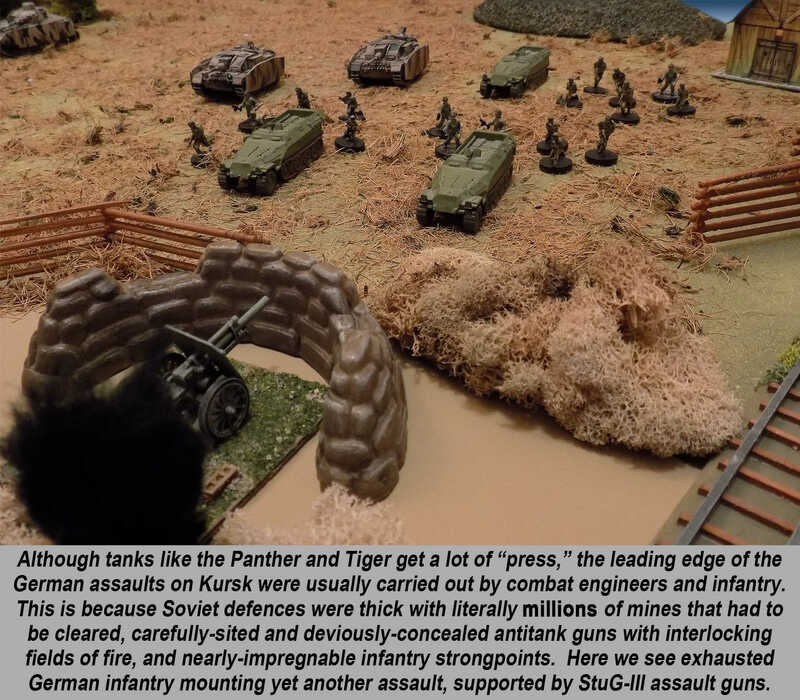 We’ll make a more detailed analysis of the armies, plans, generals, equipment, vehicles, and individual engagements that make up the Battle of Kursk in succeeding articles, but for now I wanted to “put gaming first” and take a look at just some of the options available for wargaming this incredible clash of arms. If you’re looking for a broad perspective that really digs into how these battles actually work, consider an operational-scale wargame. These are usually computer, zone, or hex-based, where each piece represents divisions or corps of 10-50,000 men each. Turns represent days, and game zones can measure between five and twenty miles across. Of course, such games aren’t for everyone. But they represent an important part of the hobby, especially for those interested in command-level military ideas and questions. 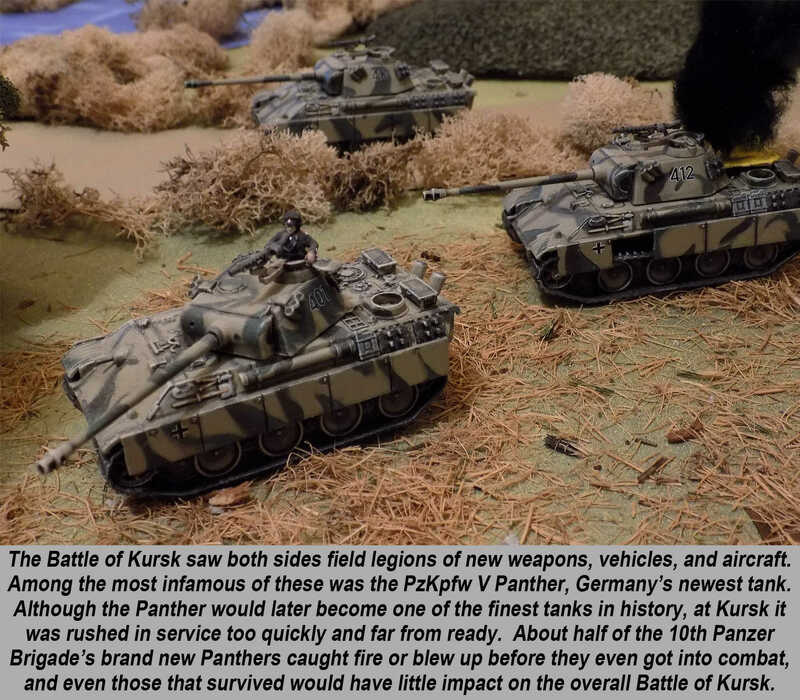 When asking whether battles like Kursk really could have “gone the other way,” and what solutions may have led to such outcomes, the answers are best explored here. We should also note that these kinds of wargames are really the only way to realistically grapple the sheer scale of battles like Kursk. Including the Soviet counterstrike that followed the German “Citadel” attack, close to five million men and tens of thousands of tanks, aircraft, and artillery pieces were engaged across nearly 200 miles of ground. For those interested in these more scientific recreations of how large-scale warfare really behaves (and on the Eastern Front, everything is “large scale”), consider titles like Ty Bomba’s Drive on Kursk: July 1943 (Decision Games 2008), actually an update of an old SPI title from the 1970s and featured in Strategy & Tactics Magazine (Issue 253). In short, you can really belly up to the general’s table and put your “theorycraft” to the test. It’s one thing to argue “what-if” options with other History Channel commandos – but the proper operational-scale wargame challenges players to stage a real “thought experiment” and make your plan work on the battlefield. Zooming in from the operational level, we have what I call “command tactical” level, or scaled tactical or unit tactical. Basically, this is any tactical wargame game where the pieces are units, rather than individual men or vehicles, which I discuss as a separate category because of fundamental differences in the math driving the games. 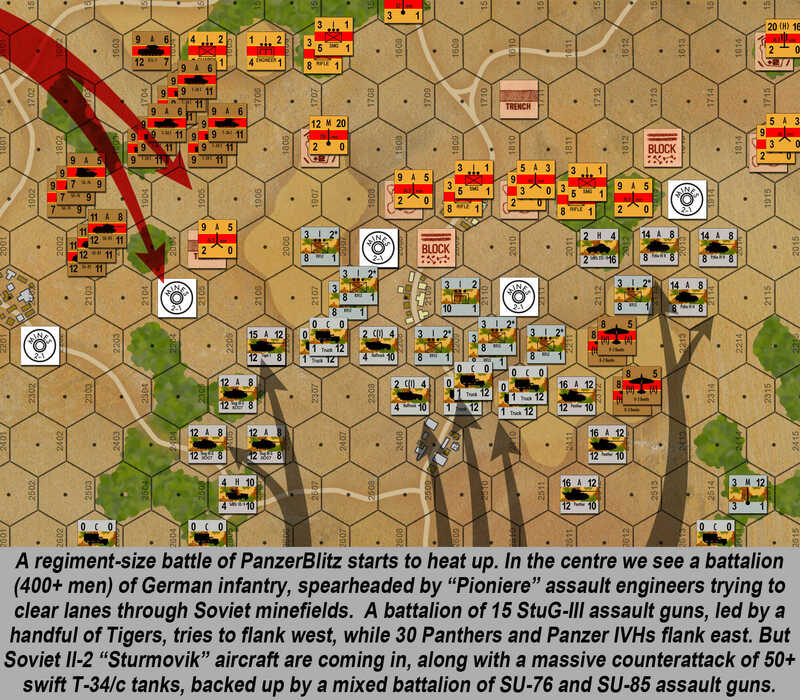 There are hundreds of “command tactical” titles that can be used for engagements at Kursk. We’ll be using one of my favourites for this article series, a modernized update of the classic 1970 Avalon Hill title PanzerBlitz. Another option is PanzerGrenadier, an absolutely massive title over a hundred supplements, some of which deal specifically with Kursk. There are also miniature games for command-tactical systems, like the classic GMT Micro Armor series and Command Decision: Test of Battle. Generally what these games have in common is a platoon-based structure (i.e., one piece is a platoon or similar sized unit). This allows players to field battalions, regiments, or even brigades at historically-accurate scales and numbers, without fielding thousands of minis or renting warehouses for gaming floors hundreds of feet wide. At this level, there is none of the “scale compression” or “telescoping range” we often see in more conventional “WYSIWYG” mini-games. You’ve got the elbow room for hundreds of tanks, thousands of men, and miles of steppe, which you always need for the Eastern Front and definitely need for an apocalyptic battle like Kursk. 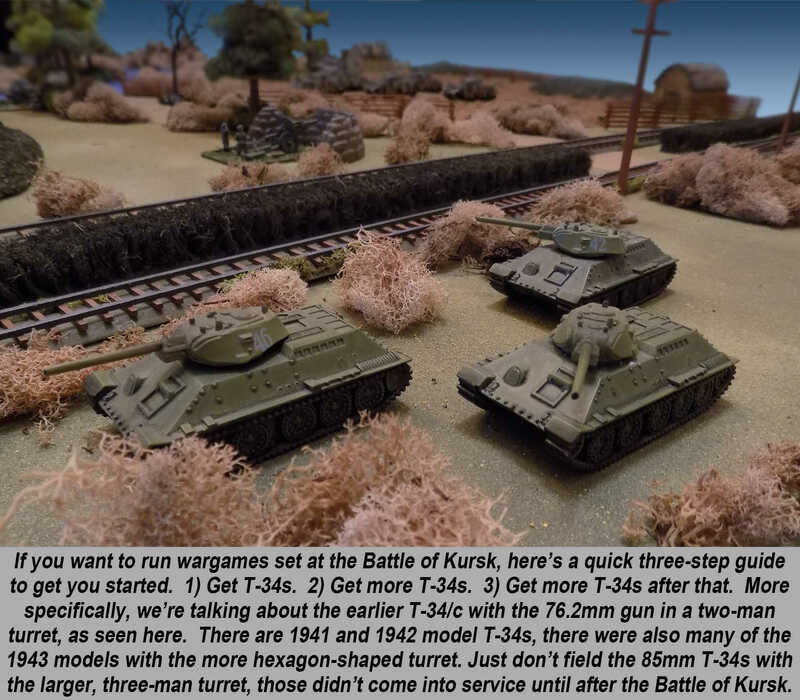 Moving into 15mm “pure” tactical miniature games, Flames of War immediately pops up as a good candidate for Kursk because of how well the system handles large tank battles and large volumes of artillery. Kursk also saw large, combined arms, set-piece assaults against heavily dug-in Soviet defenders, which Flames of War also does well. Features like minefields and especially concealed antitank guns in ambush positions need to feature heavily in the Soviet player’s list. Especially in its opening days (as we’ll see in future articles), Kursk wasn’t so much a tank vs. tank battle as German tanks vs. thousands of fiendishly well-camouflaged, heavily fortified Soviet antitank guns. 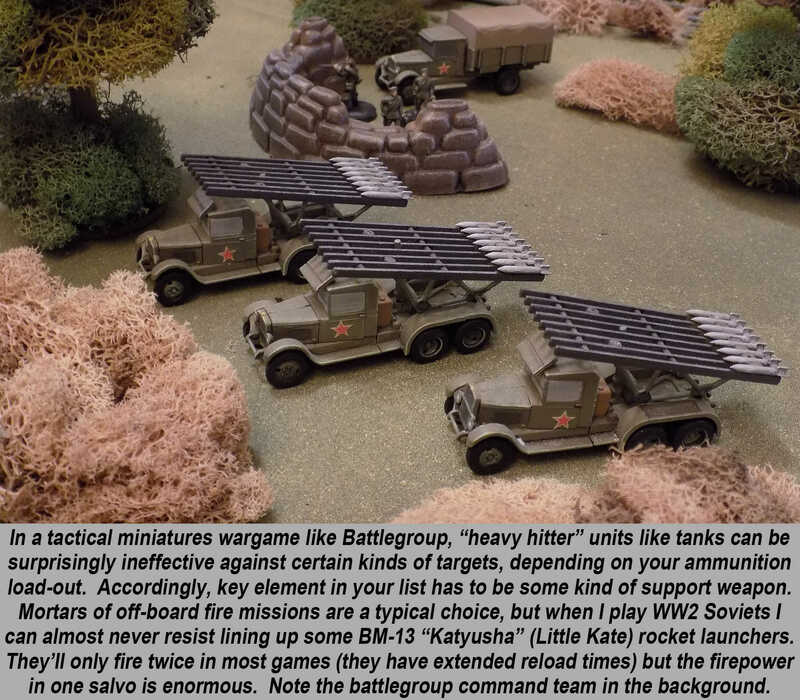 I don’t think its any secret on Beasts of War that my favourite World War II miniatures game is Battlegroup. 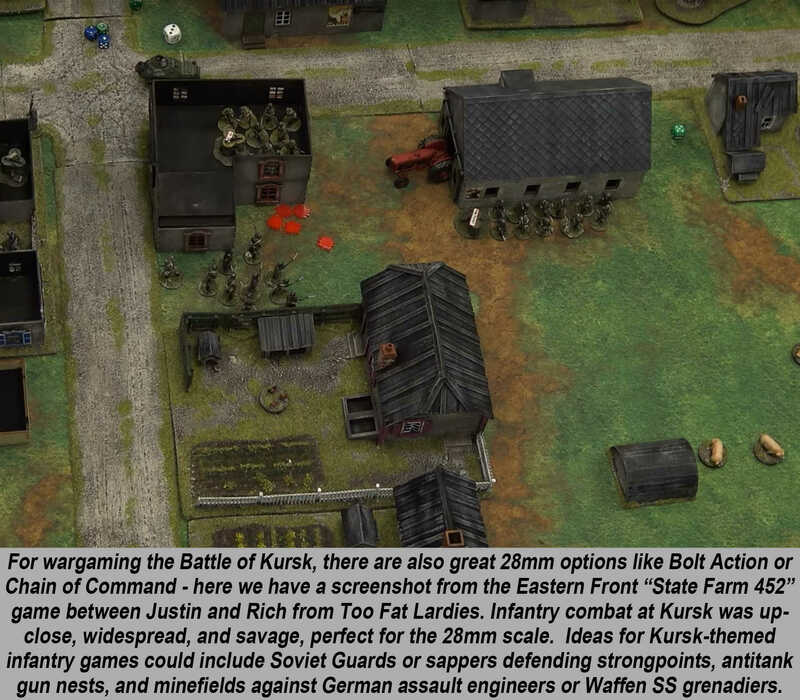 In fact, the first supplement to come out for Battlegroup was specifically called Battlegroup: Kursk, a gaming resource so solid it was nominated for Beasts of War 2014 Historical Wargame of the Year. 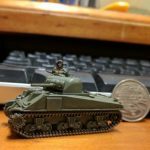 The miniature wargames in this series will all be played with Battlegroup: Kursk (albeit in 15mm, the game supports multiple scales), so I won’t spill an ocean of ink on it here. Suffice it to say that the guidelines provided for list construction ensure fantastic historical accuracy while still preserving plenty of freedom player choice. The book also presents detailed historical scenarios, tons of historical background if you’re interested, notes on terrain features found at Kursk, and a great mini-campaign centred on the climactic battle of Prokhorovka (we’ll get into that in Part Four of this series). Although Kursk is best known as “the greatest of all tank battles,” this is only a very small part of what actually happened. Infantry battles were, in many ways, even more, important at Kursk, and this is where I feel the larger scale of 28mm (and the wargames that use that scale) really shines. 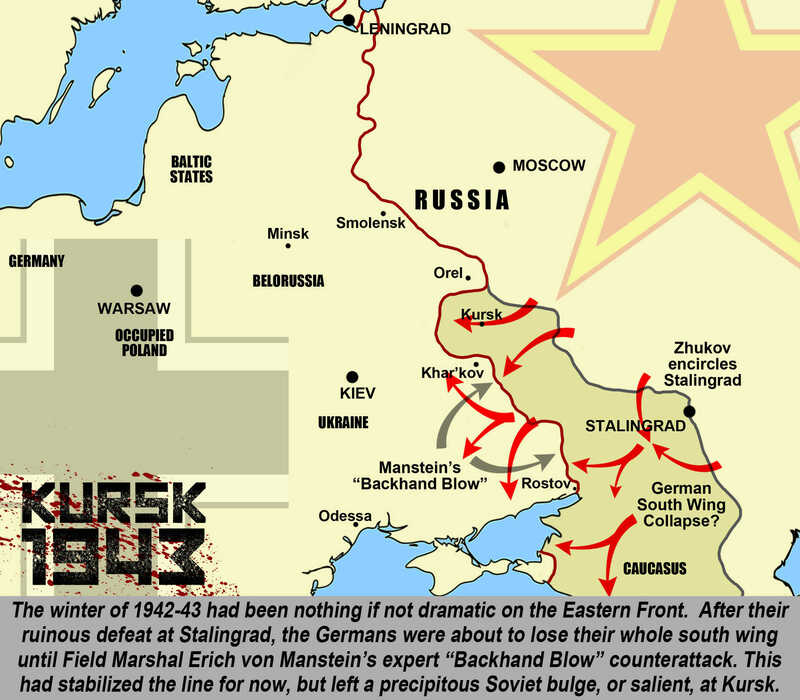 The Soviets had months to prepare their defences at Kursk. 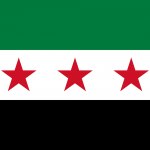 They laid something like four million mines in front of thousands of antitank guns, fortified infantry strongholds, artillery pits, AA positions, and trenches. These positions had to be breached first by German “pionier” assault engineers and infantry before the tanks could roll forward. Many of these positions were braced on the dozens of fortified villages and state farms that dotted the landscape, nasty little shooting galleries that would make great 28mm strongpoints to be assaulted by German Wehrmacht or Waffen SS grenadiers. In short, don’t let the tanks fool you, 28mm infantry games fit into Kursk exceedingly well. 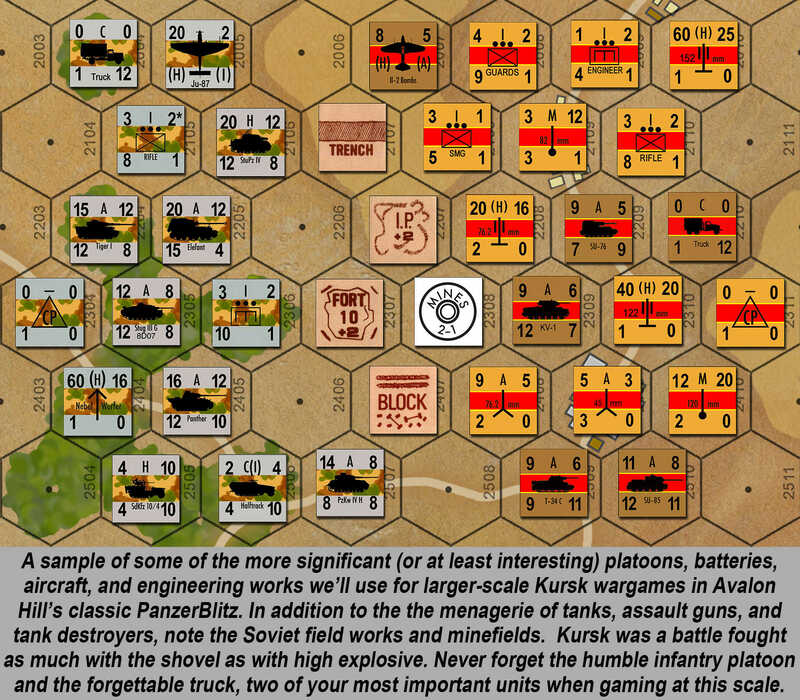 I hope you’ve enjoyed this first very quick look at wargaming the Battle of Kursk. Next week we’ll actually start the battle, with Battlegroup and PanzerBlitz games recreating some of the epic engagements that raged along the northern shoulder of the Kursk salient. Meanwhile, add your comments, questions, and feedback in the comments below! Have you ever tried a wargame on the Eastern Front? What’s the largest scale wargame you’ve ever tried? 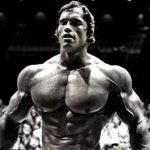 What kind of tactics do you use in these “unstoppable force hits an immovable object” scenarios? 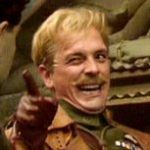 "...as we reach the 75th anniversary of this tectonic event, let’s take a wargamer’s look as this true “mother of all battles""
"Have you ever tried a wargame on the Eastern Front?" What a splendid start of this long awaited article series. I have a question: How did the Soviets acquire information about the German designs? Espionage, accidental landing of an officer behind enemy lines with a portfolio of detailed plans, or yet something else? I read somewhere that the Russians were not just informed, but well-informed in detail, making a German victory quite unlikely. Was there a traitor in the German high command? The largest battle I ever tried, although large in my view might be tiny in other people´s view, was the Japanese assault on Singepore 1941/1942. I fielded all my Japanese, rated them Veterans, and my British, rated “newbies” as well as one crack unit of Chindits. It was the attack on the outskirts of the city on a train station leading out of town. So no seaborne troups or ships and no amphibious landings involved, which seemed accurate to me, as the Japanese didn´t do that here or at least on a grand scale. I put all the Eastern buildings on the board and very little vegetation, only the indication of suburb trees and bushes. Tactics for attacks on/of fortified positions: As an attacker I´d pound the enemy positions like mad and then advance and clear everything. For pounding I´d use artillery and infantry like the German assault pioneers (=Sturmpioniere) in combination with massive bomber attacks. As a defender I´d try to make the attacker go where I want him to go and then crush him there, use the momentum he has, reverse it, and attack myself hoping the attacker won´t fire at his retreating troops. Although the latter doesn´t go for Russians or Japanese, they even tended to fire at delibarately retreating own men, as can be watched in “Enemy at the Gates”. Thank you, dear @oriskany, your article is once again great. I have a question: How did the Soviets acquire information about the German designs? 1. The British were reading German communique via the ULTRA source (cracked the Enigma codes, decryption, collation, and interpretation at Bletchley Park, etc). Thus the British knew all about Citadel and passed it on to STAVKA via the GRU / Soviet Foreign Ministry. 2. The Soviets had a sympathetic spy in Bletchley Park, I’m not sure just how deep his / her / their sympathies to Moscow lay, but enough so that, in this case, even if the British hadn’t passed on the information, the Soviets would have had it anyway. 3. Far more importantly and immediate, the Soviets had a high-placed, flag-level German officer placed directly in the OKH / OKW staff, who passed on everything to the Lucy Spy Ring in Switzerland, and then to Moscow. 4. Finally, the Kursk salient was just too perfect of a target, and German tactics by 1943 had become just too predictable. Hitler’s constant delays and postponements meant that those troop build ups in Ninth Army and Fourth Panzer Army / AD Kempf just kept building and building for months at a time, you can’t hide a million men and 10,000 vehicles for very long. I would definitely count the Battle of Berlin as Eastern Front, especially from a wargaming perspective. It’s less about where the actual battle takes place and more about the two sides in action. 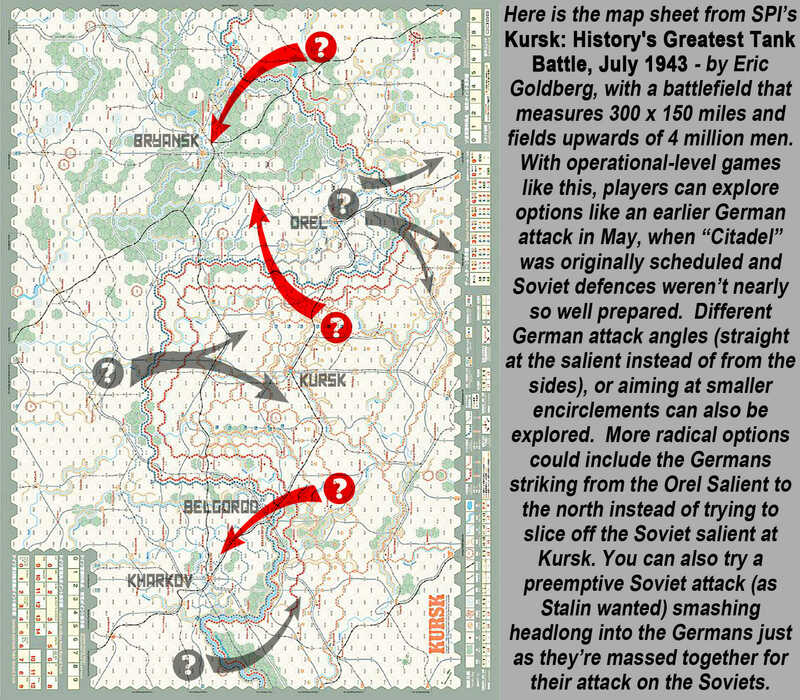 Germans vs. Soviets = Eastern Front, because you’ll be using Eastern Front units, tactics, objectives, special rules, etc. Thanks for kicking us off with the great comment! 2. The spy’s name was John Cairncross – in the 90’s it was revealed he was the ‘fifth man’ in the Cambridge Spy Ring by a KGB defector. Joined the Communist Party of Great Britain before the war, he was able to smuggle thousands of documents out of Bletchley and into the hands of his contacts in London – the raw transcripts for Kursk and later on in the war, copies of the intercepted dialogue between Tito and the Commintern. 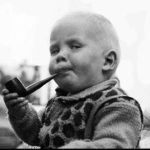 The British government were happy to give the Russians the information they had about Kursk, they just didn’t want to give up the source (that they’d cracked enigma at Bletchley and were using computers to decipher everything the German’s broadcast). Stalin was always cautious of unsourced intelligence and there have been a few writers who’ve commented on how his suspicions may or may not have impeded Soviet planning but regardless, despite the enormous losses at Kursk (higher than the Germans) it was enough to prepare the ground for the inevitable counter-attack. Another fantastic article @oriskany!! Out of curiosity, where do you stand on David Glantz assertion that Prokhorovka isn’t the biggest tank battle in history, with that honour falling to Dubno-Brody in June 1941? 5000-odd Soviet tanks, around 3,000 of which get out of the depots and onto the battlefield. It’s an exciting time to be alive from an academic point of view now that we’ve access to the Russian archives. Already looking forward to the next entry in the series, great work! Thanks very much, @bigdave – I couldn’t think of his name, I was sure I’d read it somewhere before (Richard Overy – Blood Upon the Snow). Indeed there was a great deal of mistrust between the Allies, especially the British and the Soviets. Churchill was hardly a fan of Communism before, during, or after the war. For his part, Stalin had a very bad record of chronic mistrust of British intelligence, the most glaring example probably coming in 1941 when the British warned him of Barbarossa – twice. By 1943 the mistrust was definitely still there, but the Soviets had multiple alternate sources for confirmation, such as Cainrcross who could send along ULTRA material more or less unfiltered, as opposed to British intelligence of the Foreign Office, who’d give the Soviets information with certain “edits,” in a certain slant, and with certain timing to help British national interests. The quickest of checks reveals that the Lucy Spy Ring was embedded in the OKW/OKH even more deeply than I remembered. It was multiplegenerals, including Admiral Canaris’ (head of the Abwehr) chief of staff, plus two generals on the communication staff. David Glantz is indeed one of my favorite all time historians, especially when it comes to the Eastern Front (far and away my favorite sub-topic, if it wasn’t clear). 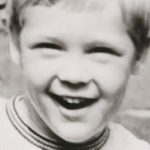 😀 He brings light to the Soviet side of the problem, whereas previous historians like Keegan, Chandler, Ambrose, Caiden, and definitely Carrell have a very strong pro-German slant. A lot of this was because of the general lack of “clean” Soviet-perspective data and records during the corld war, of course. The aforementioned Richard Overy is another good one from the UK side of the pond. Now did Glantz compare Prokhorovka vs. Dubno, or KURSK vs. Dubno? Two very different things. Prokhorokva is the “world’s largest tank battle” in the sense of AFVs (including assault guns, tank destroyers, etc.) assembled on one field. Numbers range from 700 to 1200 on a battlefield about 12km by 15km. As we’ll see in Part 04 of this series, I tend to stick with the lower numbers, and we go into all the reasons why. Obviously, even the largest estimates fall FAR short of the total engaged at Dubno (at least 3000). But DUBNO is actually a series of battles fought round Dubno, Brody, and Ronvo. We actually cover this in more detail in our Barbarossa Series of 2016 (Part 03, I think). The numbers are indeed massive, with all of Kleist’s Panzer Gruppe One against at least five Soviet tank corps (and this is back when Soviets actually fielded tank DIVISIONS instead of BRIGADES in their corps, a practice they quickly dropped until well after World War II). But it’s more of a series of interconnected engagements over at least a week that would probably be better compared to KURSK rather than Prokhorovka. So Kursk is definitely a bigger battle, but whether or not Dubno/Rovno/Brody is a bigger TANK battle is much more open to debate. If it isn’t, I definitely put it at a solid #2. Don’t know about the plaque, but MajGen Oster (Abwehr), and Generals Fellgiebel and Thiele (OKW communications) would probably be contenders. 😀 As for Roessler himself (the reputed “Lucy” of the Lucy Spy Ring) it seems many believe his actual contribution to the effort might be overstated. What was the motivation of the German spies leaking to the Soviet Union? Brits leaking to the Soviets were generally sympathetic, as I understand, but I’d imagine that German generals, whatever they thought of Hitler, weren’t secret communists. So were they blackmailed, being paid, ‘insuring’ themselves against a predicted defeat or what? 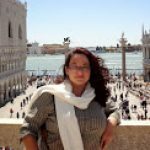 Thanks for the post and the great question, @angelicdespot – I’m no “expert” in this area but with some quick research, it seems the motivation seems to be an overriding, near-fanatical drive to eliminate Hitler. The two senior German OKW staff officers that were the source of most of the Lucy Spy Ring’s information were Fritz Thiele and Rudold Frieherr von Gersdorff. Thiele was deeply involved in the July Bomb Plot, mostly in charge of interrupting communication between the Wolf’s Lair and Berlin where the crucial second stage of the plot (the coup against Himmler / Goebbels, etc. using the Home Army) were was to take place. He’d be caught, implicated, tortured, and finally hanged. Gersdorff actually tried to set himself up as a suicide bomber to take out Hitler in March of 1943 (bombs in his coat, he was to tackle Hitler in a bear hug and blow them both up), but Hitler was not in the appointed place at the right time so this plot was cancelled. He was also one of the men involved in hiding / delivering the explosives that Stauffenberg would use on July 20. He actually escaped suspicion and wound up surviving the war. The point is, these guys were very serious about getting rid of Hitler and Nazism, and I think were ready to deal with whoever it took to make it happen. As for “Lucy” himself, this was a Roessler, a Bavarian ex-patriate who was forced to flee Germany as soon as Hitler came to power in 1943. After service in the Imperial German Army in WW1, he studied theology, so I don’t know if religion had anything to do with his decisions. Probably not, as after the war he actually started spying on the US and delivering US Army information to the East Bloc government in Czechoslovakia. As to why they would work for the Soviets, they actually started long before the Soviets and the Germans became “enemies” on July 22, 1941. 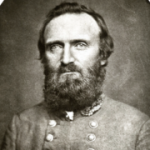 The Americans weren’t in the war yet, so there was really no one else to turn to for defeating the German war machine (the British, with all respect, were never going to get this done alone). As far as the existential threat that the vengeful Soviet Union would pose to Germany in later years of the war (i.e., “I know you hate Hitler but do you really want to deliver your whole nation into annihilation at the hands of the Soviets”), honestly the Lucy Spy Ring had done most of it’s damage long before then. They were most active in early 1941-late 1943, and by the middle of 1944 the ring was basically gone, either killed or no longer in operation after the failed July Bomb plot. Cool, thanks, that makes a lot of sense! Also, forgot to say before – great article in what I’m sure will be another great series! 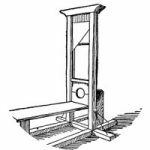 I would agree that comparisons to other eras “are not fair” because wars and battles in general were simply not as big, technology and national infrastructures would only support armies of a certain size. I would also agree that Kursk was not the “most decisive” or “most important.” Germany was losing the war before Kursk, and they were losing after Kursk. For this I would probably choose Stalingrad or, even more so, Moscow. Also, great mention of Leipzig, I always feel this battle is unjustly overshadowed by Waterloo. From what I know, Leipzig actually ended the “French Empire” (i.e., eventually forced the abdication) – Waterloo just denied Napoleon the chance to re-start it. Yeah, that makes it almost three times the size of Waterloo (not a Napoleonics expert, just tolerably conversant). Kursk we’re at 4.5 million, but that’s if you include Operations Kutuzov and Rumyantsev – which you really should, but that admittedly stretches Kursk into mid-August (i.e., 5-6 weeks). Troops engaged in the first few days tips the scales at about 3 million. 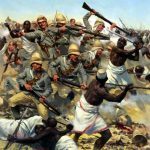 With mass industrialization, armies and nations were able to maintain the pitch of large battles like this for much longer. Campaigns and wars were no longer decided in these big showdowns lasting one day or a few days like they had been in previous centuries. Absolutely no worries, wasn’t trying to “pester.” Just still getting used to the new site and all its options for PMs and the like (honestly didn’t know if it had even gone out properly). 😀 Thanks again for the comment! Thanks, @olliep ! 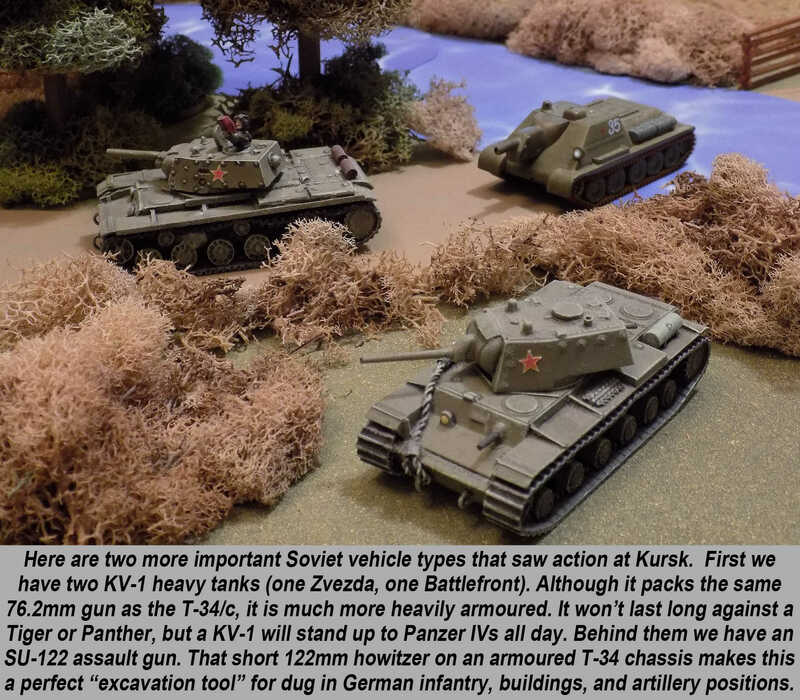 😀 Yeah, I really wanted to make the point that even though 28mm games like Bolt Action and Chain of Command tend to focus a little more in infantry just because of the scale, players shouldn’t shy from playing Kursk-themed games because of its reputation as a “tank” battle. Depending on how one measures it, Kursk was perhaps as little as 5% “a tank battle,” with so much more being fought by German panzergrenadiers, SS grenadiers, and assault engineers (pionier) pushing forward against Soviet rifle and Soviet guards rifle infantry in these little towns, woods, and state farms. These were the strongpoints that held the minefields, PAK fronts, and trench systems together, that the Soviets hoped would bog down German armored spearheads long enough for Soviet tank counterattacks (2nd Tank Army in the north, 1st Tank Army in the south), and of course that the Germans wanted to crack to open paths for the panzers. Another great start to a great series! I didn’t know tha battle was that big. I would have thought Stalingrad was bigger. I also like the large-scale maps. Thanks very much, @pslemon ! 😀 I would definitely admit that Stalingrad was longer, bloodier, more savage, and almost certainly “more important” in terms of its outcome altering the course of larger events. Kursk may not have ALTERED very much on the very large scale, but certainly CONFIRMED it (i.e., Germany has lost the initiative and with it, the war). Ahhh finally here we go. Been waiting for and looking forward to this for a bit now. 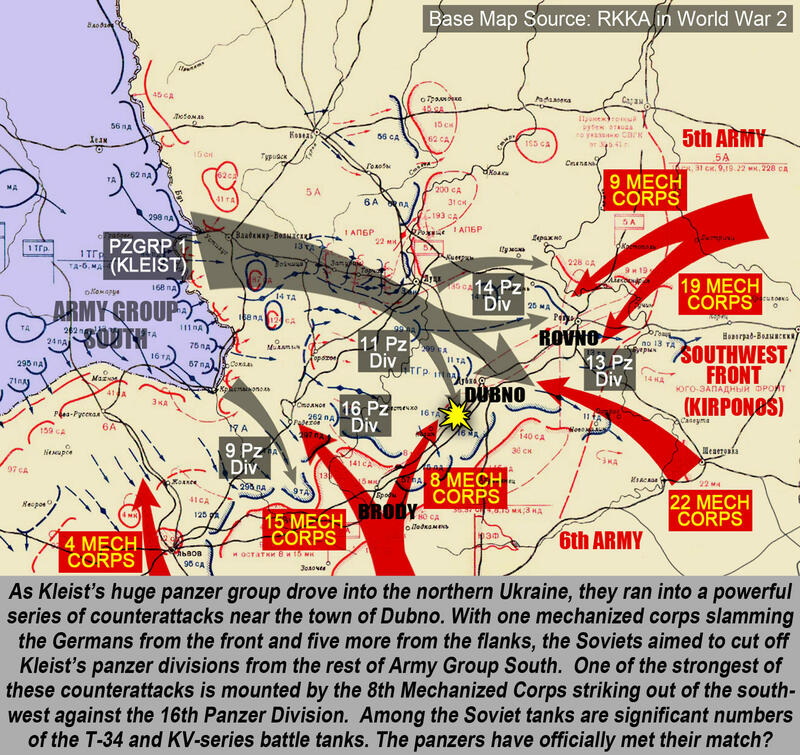 I studied Kursk a bit for myself over the years, especially through the works of Dr. Roman Töppel who clears up a lot of the numbers named in earlier publications and deals with a few of the myths surrounding the Battle of Prochorowka. E.g. he puts the number of German AFVs involved in Kursk a bit over the 3000 mark (with 2700 operational), reasoning that at that time most tank destroyers and SPGs didn’t showed up in “normal” German statistics. Unfortunately a lot of his work is not translated into english. But one of his latets works dealing specifically with Kursk from 2017 was translated and should be available soon: https://www.amazon.com/Kursk-1943-Greatest-Military-History/dp/1912390035 . It is a very interesting read (at least in the original German), which I can only recommend to everybody interested in the topic. I do not concurr on every point made in the book, but it is definately a complete different point of view, especially compared to most of the older Russian sources. Kursk is just so big, that I think we will never know absolutely every number and every truth about it. A lot is lost in the fog of history and I am absolutely convinced the propaganda machines of both sides stretched the truth to some degrees. Nevertheless is Kursk just amazing (in a very terrifying way). I’m looking forward to the coming articles by @oriskany when we get in the thick of it and the following discussions with everybody on the site. Awesome! Thanks very much, @bothi, glad you’ve been looking forward to this and hope it does not disappoint! Indeed, Prokhorovka has a lot of myth wrapped up in it. In fact, the name of Part 04 of this series is … “The Myth of Prokhorovka.” We cautiously debunk a lot of what’s been put out there over the years, from it’s size, it’s outcome, etc. Mostly I find this is a question of scale. Did Prokhorovka halt the advance of 2nd SS Panzer Corps? Yes. 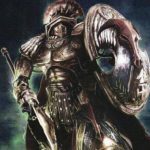 Did it slam Citadel to a dead halt in its tracks? No. was a it a German setback? Yes. A smashing defeat for the Germans? No. Did it see over 1,000 tanks / SPGs / assault guns / tank destroyers on both sides on a battlefield roughly 12 x 15 km? Yes. Was it the unqualified “largest tank battle in history?” No, but that’s almost more a question of language and semantics than actual math or history. Of course you are right. AFVs would include half tracks. It’s a term I used (incorrectly) lacking a better description, not Toeppel. Actually Toeppel is making quite similar points as you are with the differentiation between a “Tank” and a “Assault Gun” and a “Tank Destroyer” etc. And he explains in what sources which are included into the same category and where more of differentiation was made. In short I got the feeling that most Sowjet sources things like SU (and ISUs), T34s, KVs, etc. were put in the same category and in most German sources Stugs and Panzers and Jagdpanzer were put in different categories. Maybe you get a chance to read his book after it is released in english (November 2nd I think). Would love to chat with you about it afterwards. Please don’t get me wrong, @bothi, “AFV” is normally the right way to go, at least in terms of more modern conflicts. It’s that just that WW2 has so many super-light, open-topped “armored” (ahem) vehicles like halftracks, universal carriers, etc. I fully agree that most German sources I run across distinctly keep “panzer” battle tanks and other AFVs (there goes that term again) 🙂 in separate categories. I think this breaks down later in the war as more and more “panzer” battalions are filled in with StGs or JgPz or who-knows what else to keep at least a nominal strength in the field. I do have to admit a small piece of my own “errata” when it comes to these SU-85s and ISU-152s. While its true both vehicles were at Kursk, they were so in much smaller quantities and later in the battle than many people (at least speaking for myself) tend to think. At least in my case, this is because I’m finding OOBs for SSPARs (separate / independent self-propelled artillery regiments) and SPATRs (antitank regiments) – listed in Glanz’s references in extraordinatry detail – that include these vehicles. Now I’m not going to dispute a historian like Glantz, but on closer inspection, I see that most of these units become fully engaged later during the Kutusov / Rumyantsev phases of the battle. So through an oversight (on my part), they get “warped backward” in time a little. Now worries. I think even (or especially) you are merited for a slight mistake here and there. Though I wouldn’t even call it a mistake, but more of an interpretation/point of view. Awesome, @guillotine! Hope you like it! They should be going up each Monday through all of July. We’re also looking at the possibility of a live stream for Q/A, discussion, etc. Kursk is such an interesting topic and one of my favourite backdrop for what-if? scenarios. I honestly believe if the Germans had won decisively it would have changed the outcome of the war as Soviet production was stretched to an absolute maximum. Eliminating the salient would have freed up a considerable number of German troops by shortening the front line. At least this would have prolonged the war for another few years maybe even into the ‘50s. Thanks very much, @suetoniuspaullinus! The Eastern Front is definitely the biggest part of the war (as much as 85% depending on how you measure it) – so if you knock a historical result of a major engagement a different way, you definitely wind up with some serious cascading effects rolling forward. 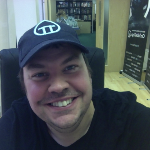 Thanks so much, @yavasa – and let me say again how glad I am that you’re back. Cool deal, @yavasa – I won’t be able to post the actual books (intellectual property, copyright, etc. ), and of course many of the books are the old fashioned “paper and two covers” kind. 😀 But I should be able to pull together a pretty comprehensive list of hyperlinks if nothing else. If this article is any indication, this article series promises to be as epic as the battle itself!!! I love the background information, particularly the presentation of a “too perfect” topic. See, I thought you were going to call out the “Three-Step Kursk Starter” plan in one of the captions. Step One: Buy some T-34s. Step Two: Buy some more T-34s. Step Three: Buy some more T-34s after that. Thanks, @rasmus – now that things are all “set up” as it were, we launch straight into the German assault on the north face of the salient in Part 02. Hey hey, @zorg – don’t get too far ahead of the rest of the class! 😀 Just kidding. You’re totally right about those Ferdinand Porsches / Elefants (Jagdpanzer Abteilung 653 and 654) – we’ll get to that in Part 02. And of course the Panther brigade (10th Brigade / PzRgt 39 / PzAbtg 51 and 52 – attached to Grossdeutschland panzergreandier division) in Part 03. Yes many of the new tank had problems being just out the box. Absolutely – along with Untrained crews, design changes that were not tested, units being cross-attached to new divisions without proper liaison and integration, etc. All kinds of problems. We’ll get into it in Parts 02 and 03.
as for largest battle @oriskany try this one. Well as with Kursk this was more than one Battle mars had rebelled so was the perfect staging area for the space battle around the system to control movement for pounding defences on the Moon & Earth. I’ve done some writing / gaming / game design around “Mankind’s First War on Mars.” We gotta remember these planets revolve around the sun, in different orbits at different speeds. Mars and Earth/Moon are only “close” to each other something like 7 months every three years or some such. A lot of the time they’re on opposite sides of the sun. This is something we run into in Darkstar. that’s for sure what I have read is brilliant. Thanks for the great part 1, looking forward to the rest of the series! 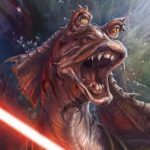 I’m a little more knowledgeably on sci fi, especially Star Wars. Even then, the Battle of Endor may be the “biggest” but only if we stick strictly within the parameters of the Galactic Civil War. Once you venture out into the storylines of the Shadows of the Empire, wars of the Old Republic, or the Clone Wars, the battles of course get much bigger. As far as Tukayyid goes, what can I say? 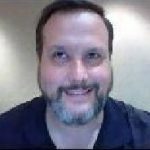 I’ve dabbled inf BattleTech before, including publishing on it for Beasts of War, and sarna.net is my friend. But even Tukayyid you could almost argue is a series of linked battles (seven clans) “Kursk style,” rather than one gigantic mass of mechs on one field “Prokhorokvka” style. Thank you so much Oriskany! The largest battle in the largest conflict in human history finally getting the attention it deserves. The whole battle is fascinating if only because it was too predictable. I have often wondered what would have happened if the Germans had spent their time fortifying behind the amassing troops and not attacked. They were fighting on foreign soil and sooner or later the Russians would need to attack. The reality is that whilst the Germans were excellent on the offensive, they were also great dogged defenders. The Russians were good, but not German-quality troops, and still relied on numbers for the most part. Had the Germans waited for a Russian attack, the defensive advantage of Kursk would have been lost and it would have been the Russian attack that was predictable. Feigning preparation for a massive offensive, only to buy time for fortifications to be prepared, would also have given the Germans much needed time and allowed them to deal with the south and western fronts in a far less panicked manner. Another advantage of waiting would have been that a number of the experimental tanks (Panthers, Elefants/Ferdinand) that the Germans rush into service could have had more of their flaws ironed out. Germans are indeed UNMATCHED when it comes to mobile defensive warfare. This sort of comes out in the interview when I wind up rambling more about Manstein’s Feb-March defensive campaign than I do about the actual battle of Kursk. From an operational point of view, this campaign is in many ways more interesting than Kursk itself. But I digress. I have often wondered what would have happened if the Germans had spent their time fortifying behind the amassing troops and not attacked. Meanwhile, Stalin was urging a preemptive strike on the Germans, Zhukov, Vasilevksy, and the rest of STAVKA had to keep calming him down and urging to stick to the plan and let the Germans hit them first. These are the kinds of large-scale questions, postulations, “theory craft” that are best explored in the big operational-scale wargames I mention above. Granted, it means stepping away from miniatures, but this is the arena where you can really ask … and furthermore TEST … your “what-if” questions. Okay, so if the Germans do not attack at all in July of 1943, one issue is that the Soviets will know it long in advance. I don’t think “feigning an attack” will work because of the multiple intelligence channels delivering crisp copies of virtually every German OKW / OKH communique (ULTRA / Cairncross / Lucy Spy Ring). The Soviets would know almost immediately when that decision to not attack was made. That said, this decision DOES remove the benefit of all those Soviet defensive works, which of course played a huge part in the battle. The Soviets in 1943 are also just better at defense than attack, even their successful attacks are bloody sledgehammers as they continue to evolve their tactical and operational doctrines, command structures, OOBs, etc. As you say, they are getting better but still “not Germans.” I agree 100%. Not 100% sure now much difference those Panthers and Tigers would have made. 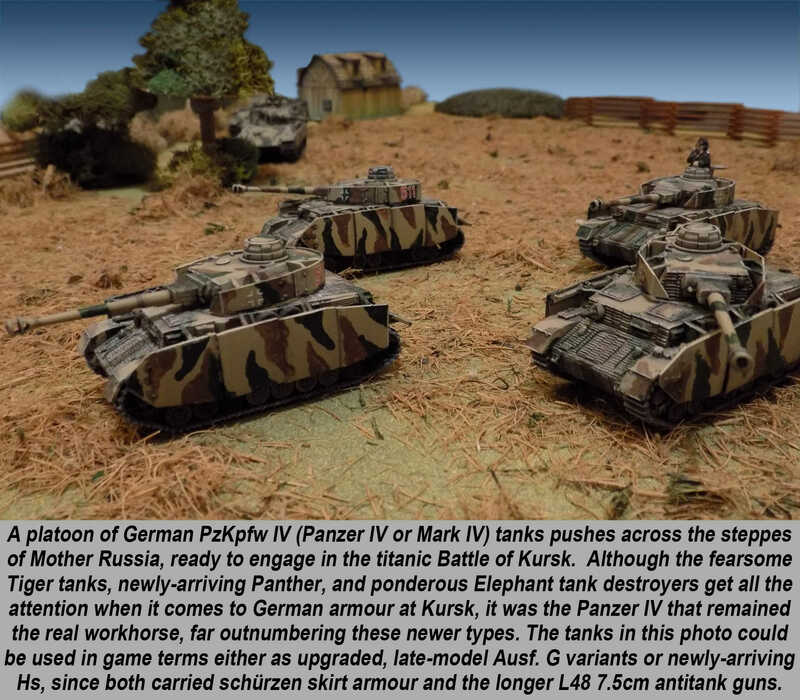 Yes, the Panthers would have worked better, but we’re talking about 200 total Panthers and 100 Tigers (sPzAbtg 505, 503, plus the detachments in the three Waffen SS PzGr Divisions and Grossdeutschland PzGr Division) – out of a battle that will involve 6,000 AFVs (2500 German, 3500+ Soviet). That 5% or less. Also, the Soviets are also rolling out lots of new equipment in that same delayed time frame, most notably several separate self-propelled independent antitank regiments of the new SU-85 and more of separate SP artillery regiments of the dreaded ISU-152. So let’s say the Germans wait and the hand the initiative to the Soviets. This was the whole point of Citadel, though, to prevent JUST THIS from happening. But let’s take Hitler out of the equation and say he allows this to happen. The most likely scenario would be the Soviets just launching Operation Kutusov against the Orel Salient and Operation Rumyantsev against the Belgorod Shelf and eventually Khar’kov in late July or early August 1943. 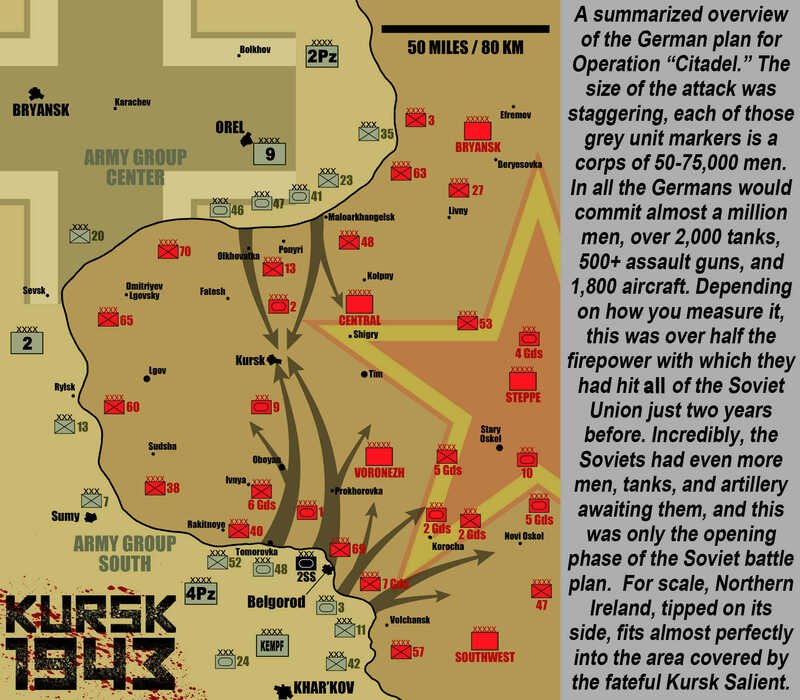 These are the attacks we cover in part 05, the “Soviet attack phase” of Kursk that was launched after the Germans had worn themselves out in Citadel. So let’s just say the Soviets launch these without Citadel beforehand. Yeah, the summer of 1943 turns out pretty different. I still think the Soviets win, but I feel the Germans do much better in 1943 and even into early 44. Great post! And some very interesting questions! Awesome article @oriskany can’t wait for the rest. I’ve played a little Battlegroup and it was very fun, my Russian’s got massacred but that’s kinda what they do so it all worked out in the end. Another thing about tactical miniature wargaming is that the German player will almost certainly have a list based on some of the cream elite divisions, one of the Waffen SS PzGr Divisions or Grossdeutschland or some such. It follows that the Soviets will have rough day, much more than they would against the other 95% of the Wehrmacht formations in play. The overall effect is a generally skewed perception of how good the AVERAGE German force could perform against an AVERAGE Soviet force, because you’re almost always up against one of the BEST German forces. And my favourite! Panzer Blitz! Good thing you’re using the electronic version. You would have killed a fair number of trees making counters for this behemoth of a battle. Thanks very much, @cpauls1 – yes, cant do a 1943 East Front battle without PanzerBlitz. This was literally the “mid-late war” campaign that game was really designed for. Please check back in for Part 04 especially – where I set up the largest PanzerBlitz game at least I have ever seen. A true-scale, no short-cuts, myth-busted recreation of Prokhorovka … on a 12km x 15km map (about 80 x 105 hexes). Physically this would be a Panzerblitz gameboard over seven feet long, with 1,350 counters on it. Cry havoc! And let slip the dogs of PanzerBlitz! 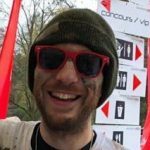 Well I know I haven’t posted on here in an absolute age and that is because I have been sorting out the workshop and am in the middle of making a Forge. 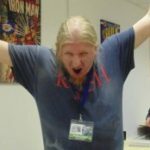 However this article is just excellent and I wanted to say hello to you all and I hope to be back to gaming in the autumn of this year. As always sir so well researched and sorting the myths from the truths. Like I say just nipped in to say absolutely excellent stuff Jim, and a happy fourth of July. Thanks very much, @chrisg! Glad to see you back on the site! When you get that forge completed (or even before it’s completed) you should post some of your progress pics and descriptions on the new “Projects” feature on the site! Other people are putting their “hobby spaces” on there, I think yours would very very interesting! Awesome start of the series! Will you address the Battle of Dubno-Brody in 1941? I’ve only recently learned about it (search TIK on youtube) and how in numbers it could have been bigger than Kursk depending on how you count (i.e. include the counterattack etc.). Obviously though that battle wasn’t as pivotal as Kursk was. Good afternoon, and thanks for the great comment @neves1789 ! People have been asking about Dubno, and how it compares to Kursk. I don’t think it was larger than Kursk, certainly not in manpower (4 million men+, 3 million men + and that’s even if you don’t count Kutusov / Rumyantsev). Even in tanks it comes up short, with 1000 panzers at most (and that’s generous) of 9th, 11th, 13th, 14th, and 16th Panzer Divisions (III, XIV, and XLVIII Motorized Corps – PzGr Kliest) going up against 9th, 19th, 22nd, 4th 15th, and 8th Mechanized Corps of the Soviet Southwest Front. We’re looking at 2500 Soviet tanks here, although some sources will erroneously count 3500 (only about 2500 of these got into combat). So that’s 3500 tanks on both sides, compared to 2000 German tanks, 500 tanks and assault guns, 3500 Soviet AFVs = 6000 AFVs at Kursk. I think what some people compare Dubno-Brody to when saying it is “bigger thank Kursk” is comparing it to Prokhorovka specifically. Here, the numbers are certainly true, only about 1200+ tanks / AFVs are engaged at Prokhorovka. But this comparison still isn’t really right because it’s an “apples and oranges” comparison, it compares the engagement of a single field on a single day against the whole battle of Dubno-Brody, which took place over several days across many engagements over a wide swath of Ukraine. You’ve have to compare Prokhorovka against the single biggest smash of Dubno-Brody (probably 8th Mechanized Corps against 16th and 11th Panzer Divisions just southeast of Dubno). This only has about 500 tanks engaged, nowhere near Prokhorovka. Awesome! Thanks for clearing this up. I do believe the comparison that I saw focused on Prokhorovka vs Dubno and did not take the wider picture into account. No worries, @neves1789 – you see a lot of that in modern-ish documetaries on the web and TV. I think producers want to draw attention with “newly uncovered facts!” …and … “Forget all you know” – etc. Except that “what we know” in fact comes from decades of academic research by world-renowned historians. They’re technically “not wrong,” just making proclamations based on mismatched comparisons and analogies. I once ran across a similar one that tried to postulate that Okinawa was a larger amphibious operation than Normandy because the Okinawa landings used more ships. Well … Okinawa had more ships, sure … but didn’t land three airborne divisions, six seaborne divisions in the first wave, plus at least four more divisions later that afternoon, eventually put something like 2 million men ashore, free half a continent, etc. BTW – I’ve worked up French counters for Valor & Victory 1918. 😀 Actually the best images I could find for the troops had brown uniforms I had to tint blue in Photoshop, so the original source file might be better for an eventual Belgian 1918 army set! 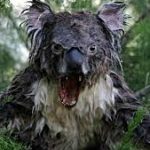 Hi all – N00b here so please go gently 🙂 Oriskany, your articles have prompted me to actually sign up! 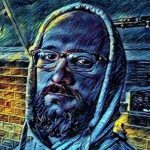 Again, thanks for the great articles, info and community. Thanks Warzan! I notice the use of tags… @Oriskany – hopefully this gets your attention – cheers! Thanks for the possibly unintentional heads-up Warzan! 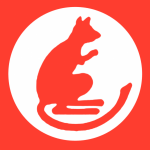 Welcome aboard @LittleDollyGeneral , to the best wargaming community on the planet! Apologies for the delayed response, I’m in a different time zone and sometimes don’t see new posts right away. I hope you’ll consider putting some pics of your 11th Armoured force in the BOW Projects feature. Very glad you like the articles and even more glad you decided to join the community. Welcome again!